Another fun area I'm going to explore here on The L Word fan blog is Couples Counseling. So myself and all you readers will give our relationship advice to those hot L couples through the beautiful power of blogging. So grab your "smart-girl" glasses, your pen and notepad. And aid "Dr. Feel. . .Good" in providing healthy relationships for our favorite fictional characters. 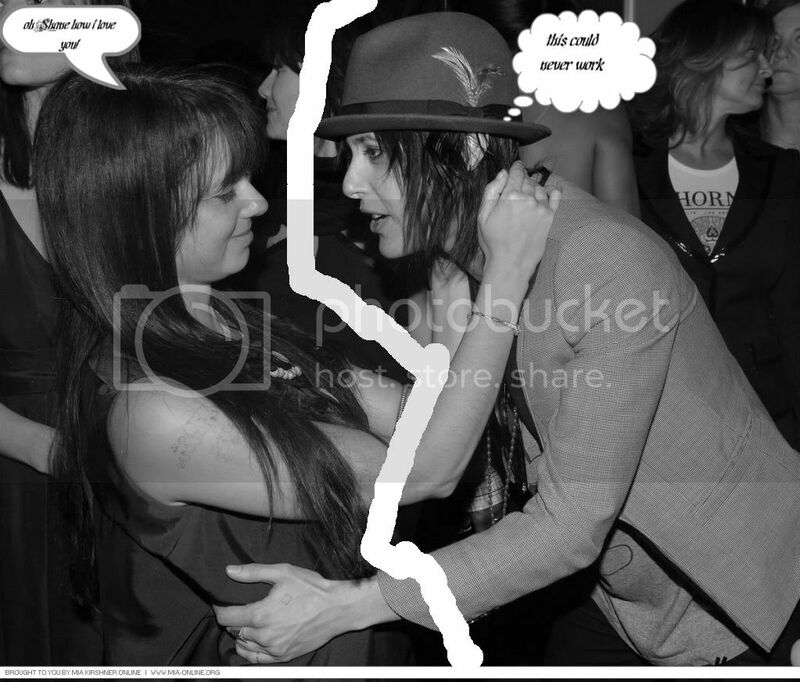 The beautiful and tormented writer Jenny Schecter and smoldering womanizer Shane McCutcheon began their journey together as roommates. This soon blossomed into an unlikely friendship that proved both comical and heartbreaking. From normal disputes to love triangles their friendship has remained strong and one of the best relationships on the show. For the second time one of these blue-eyed brunettes hurts her friend by fooling around with a partner/lover. It has happened before with Carmen and now with Nikki. There's a twist though, Jenny confessed her being in love with someone shortly before witnessing her bestie and her beau getting it on. Of course she was devastated, but what hurt her more? Now as a doctor ( and i use that term loosely), I am not one for the transition between good friend and girl friend. But there is a huge possibility that the speech could have been targeted at every one's favorite player, Shane. With the surrounding drama, latest love triangle and the series ending, what will come of Shane and Jenny? I'm going to try and go as slow as possible, being that there are so many issues here. First up, Jenny and Nikki: Jenny, my love let her go. Shane would have made her second infidelity during your short relationship. Not to mention she hasn't been to loyal to you either. Not supporting you after you were booted from your own movie set is the ultimate KOD (kiss of death). She's cute but she's a child not ready for that typical Jenny Schecter intensity that you've become known for. Find yourself an adult and live happily ever after! Next up, Jenny and Shane: No! Just no Shenny! You too make awesome pals, but to attempt to venture further romantically will leave scars and end a friendship to beautiful. Shane is also still a child doing adult things. And let's face it J you don't have the skills equipped to deal with such a case. So work on your friendship, talk out the hurt, the pain, the betrayals and grow stronger because of it. Last but not least, Shane: We love you, but your player ways are so 2003! Find Carmen! She was your soul mate! What you did to her is inexcusable and unjustifiable. Only thing left to do is grovel shamelessly and beg her forgiveness. You two are meant to be and we witnesses of the love are hoping for a happy ending! So work it out! A picture is Worth a thousand words! Need I say more? Tell me what you think! Leave a comment and offer your own solutions and feedback on the romance that could be Shenny!There are no wrong or right answers. Have fun with it!